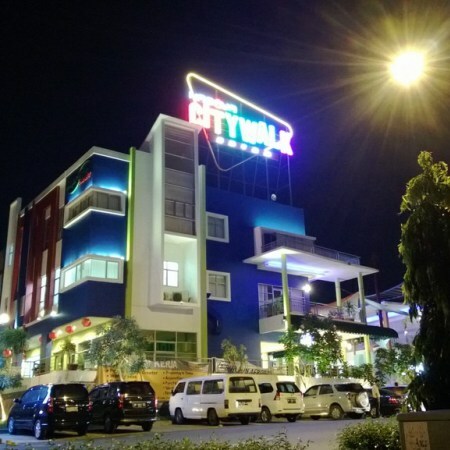 Nagoya Citywalk is located right in the heart of Batam, an area that has been formed as an area of Live, Work, and Play with accessibility within walking distance and the range of a 24-hour transport from / to all corners of the city of Batam. Nagoya Citywalk image results integrated development works that incorporate the concept of shopping, eater-tainment, entertainment, harmonization of activities indoor - outdoor, flower and the green hue landscape parks in a single interactive design for humans, nature, architectural works, shopping and culinary. Plaza is positioned as a magnet, the central point of the meeting and the distribution of traffic throughout the area of coverage, the excitement is the Main Stage & Centrum of Exhibition for the whole Crowd puller activities of Nagoya Citywalk.